This stunning example of a high-quality black opal, and possibly affords a glimpse of what it must have been like to gaze upon the most glorious opal known to man at the turn of the 19th century. Though currently lost to public record, this famous opal of which I speak once belonged to Napoleon Bonaparte I's beloved Empress Josephine de Beauharnais. Called the Burning of Troy opal, there appears to be no photograph or drawing of the (alleged) 700-carat stone, but there is much discussion about it throughout the historical record. The Burning of Troy draws its name from the fabled flashing blaze of fire which was said to have burned so brightly within its belly that it appeared to sizzle upon its surface. Though no one contests the existence of this illustrious gemstone, the journey of the Burning of Troy opal once it left Empress Josephine's possession is shrouded in mystery. Considering how frequently it's discussed*, very little seems to really be known about it. Unfortunately, as is the case with many historied gemstones, the sparse accounts inspire far more questions than answers. 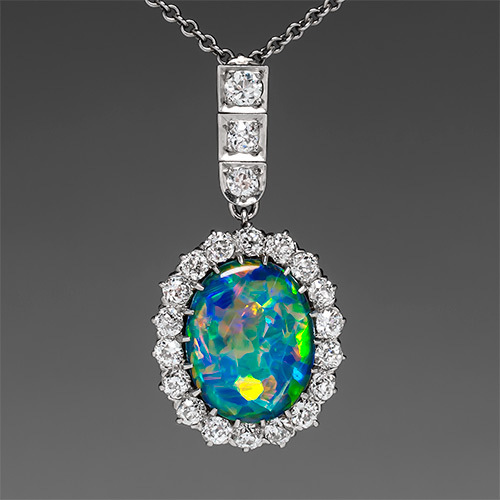 Until the 20th century, historians believed the opal hailed from the Czerwenitz Mines of Hungary, where most of Europe's opals were mined. However, experts now agree that the black-backed black opal had to have come from Honduras, which makes its journey into Napoleon's French hands even more intriguing. While many of the jewels Napoleon gave to his wife came from Italy as gifts or spoils of war, so far this writer has been unable to confirm when or where Napoleon acquired the stunning black opal. "The Empress Josephine's opal, called the Burning of Troy, from the innumerable red flames blazing on its surface, was considered to be the finest stone of modern times, but its present owner is unknown." ~Excerpt from The British Quarterly Review, 1878. "In the Museum of Vienna is an opal of extraordinary size and beauty, for which Lira 50,000 has been refused." ~The next sentence in The British Quarterly Review, 1878. "The Empress Eugenie was one of those who had a dread of the opals' evil influence. Perhaps she connected with it the ill-fate of another Bonaparte Empress, Josephine, who owned the most wonderful opal of her time. So brilliant were its fires that it was called The Burning of Troy." ~Excerpt from the same article in The Mentor, 1917, two paragraphs later. 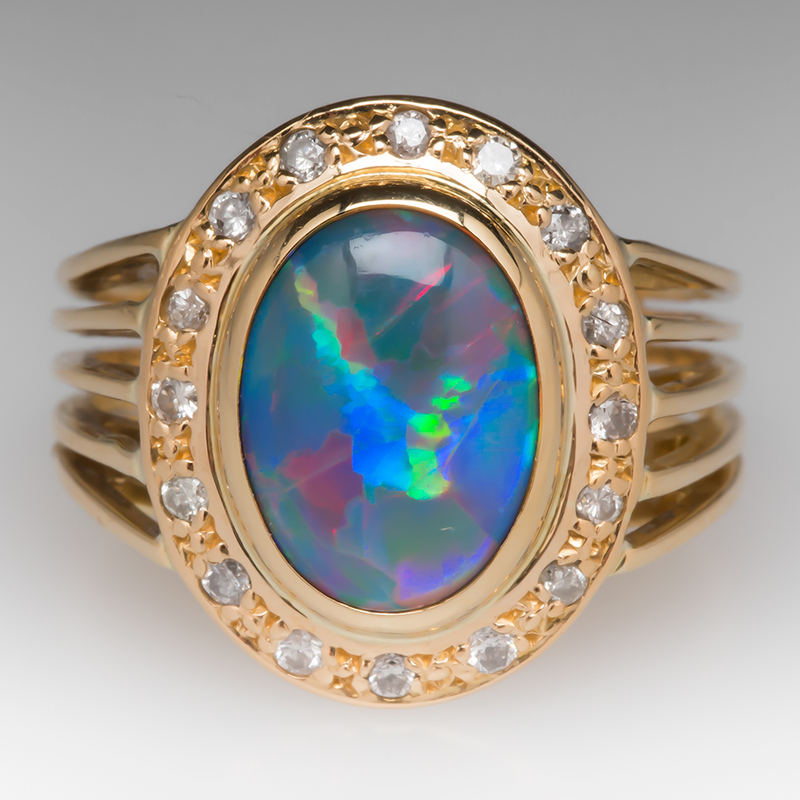 Both accounts represent topical discussions of opals in general, and both reference the opal on display in Vienna and The Burning of Troy opal as if they are completely separate. Note that the one writer refers to the opal on display in Vienna as a 3,000-carat opal, whereas the Burning of Troy is (fairly) well documented as (at least believed to be) a 700-carat stone. Note also that the the dates line up sufficiently to draw a reasonable conclusion that the two stones might be the same stone, though there is a huge discrepancy in the size of the stones in question. So far, this researcher has been unable to discern whether these stones truly are one and the same, or whether a writer (or more than one writer) made a huge leap and merged two opals into one; something which is so easy to do when piecing together fragments of history to make a whole. 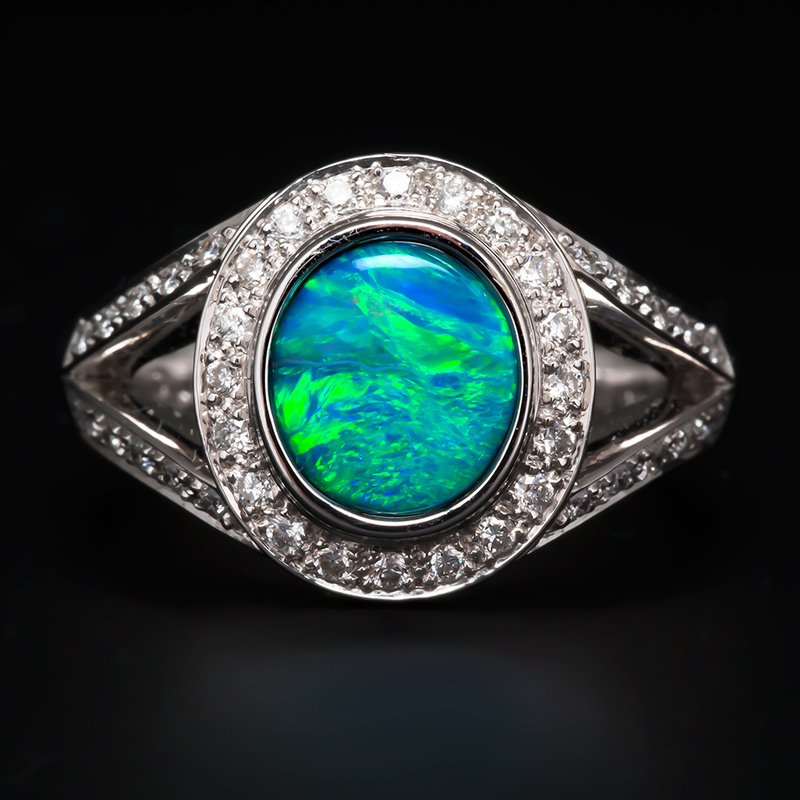 Own a piece of fine opal jewelry and start your own legend. *Some accounts claim 50,000 lira were offered. It is hard to know which is the correct amount.